General Motors has consistently declined to fund public charging stations that increase the utility and long-distance potential of the electric cars it sells. The company said firmly two years ago it had no intention of spending money on a charging network, a stance that distinguished GM from BMW, Nissan, and Volkswagen, not to mention Tesla. On Thursday, GM announced that it would partner with national charging network EVgo to set up DC fast-charging sites for drivers of its Chevrolet Bolt EV electric car. 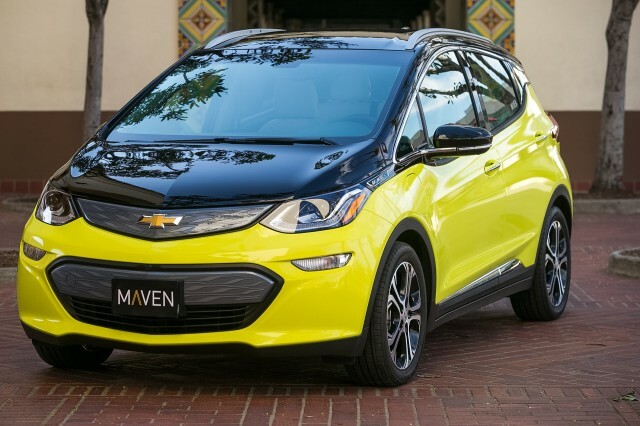 Specifically, GM's Maven car-sharing unit will get its own dedicated EVgo network of fast-charging stations, exclusively for the use of Maven Gig drivers who operate all-electric Bolt EVs. The two companies described their plan as the nation's first fast-charging network dedicated solely to the needs of on-demand drivers. 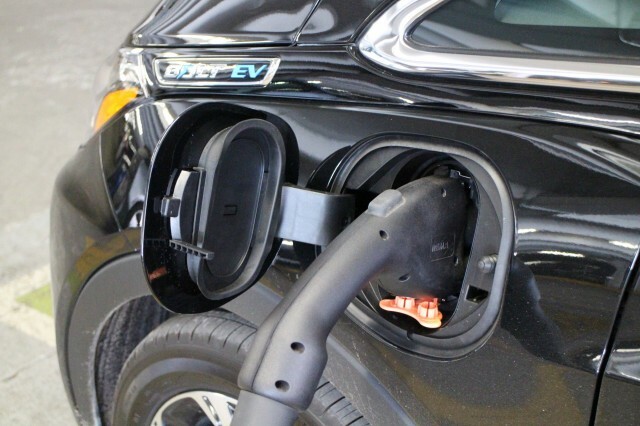 Maven's Bolt EV drivers have already used public EVgo fast-charging sites as part of a pilot program in seven cities: Austin, Texas; Baltimore, Maryland; Boston; Los Angeles; San Diego; San Francisco; and Washington, D.C. The full national network will build on lessons learned from that effort, ultimately expanding to "hundreds of stations in Maven markets across the country." According to an EVgo representative, Bolt EV drivers who are not members of the Maven Gig service will not be able to access the EVgo fast chargers dedicated to Maven, which will be clearly marked as such. Conventional EVgo account-holders will not be able to initiate DC fast-charging sessions on the new network, he said. In their release, the two companies claim electric-car use is growing rapidly across the country among ridesharing fleets, which can put more than 50,000 miles per year on an individual vehicle. That makes the low per-mile cost of recharging electric cars highly attractive. The Maven-EVgo announcement did not specify the prices drivers would pay for fast charging on the dedicated network, but they currently get free access to the public EVgo network. EVgo now operates more than 1,000 DC fast-charging stations across the country. It recently simplified its membership fees and lowered it charging rates, reducing them for many users. A Chevy Bolt EV can add 100 miles of range or more within 30 minutes at a 50-kilowatt fast-charging station. Maven drivers receive 60-minute charging sessions, but according to Maven's Annalisa Bluhm, the average charging session for Maven Gig members is 45 minutes. But the car's charging rate slows down after the battery is slightly more than half-charged, to protect the battery from the heat of charging and extend its lifespan. That means fast charging is most efficient for Bolt EV drivers when their batteries have relatively little range left in them, as Green Car Reports learned while charging a Bolt EV test car. Members of the Maven Gig service have driven almost 9 million miles in electric cars, said Julia Steyn, vice president of Maven and of the GM Urban Mobility unit. 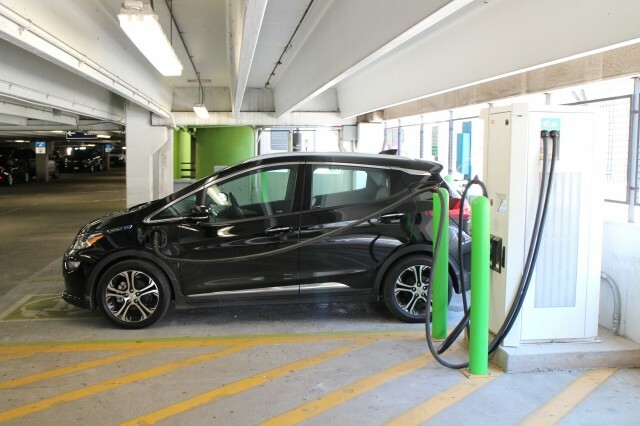 As for the 20,000 to 25,000 Chevy Bolt EV drivers who bought their electric cars at retail, nothing's changed: They can continue to sign up and pay for the various regional and national fast-charging networks at retail rates.